Kitchen of Armidale Weejalee holiday accommodation. Living area of Armidale Weejalee holiday accommodation. Bathroom of Armidale Weejalee holiday accommodation. Couple sitting on the deck outside Armidale Weejalee holiday accommodation. Spacious gardens with very green well-kept lawns. It doesn't snow often but it's beautiful when it does. External shot of Armidale Weejalee holiday accommodation in the snow. 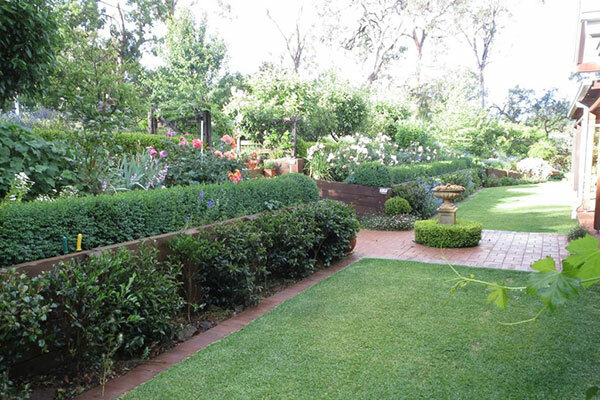 Garden with hedges and lawn. A modern self-contained unit, nestled amongst beautiful gardens in a lush rural area within minutes from Armidale. 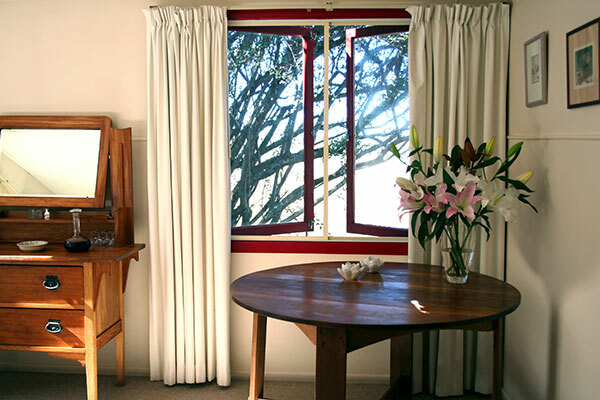 A comfortable and private stay is assured with panoramic country views with an abundance of bird life. 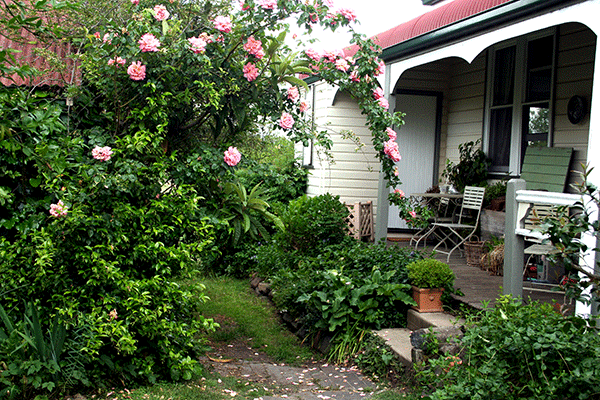 Balmoral B&B Accommodation — beautiful outdoors! Enjoy a relaxing stay in a self contained one-bedroom cottage located minutes from Armidale city centre. Picturesque views and open deck in a quiet rural setting. Coningdale B&B — historic style! Historic Coningdale Homestead, circa 1906, is a 4,300 acre workingsheep and cattle property located in Scots Corner, on the Wollomombi River. Optional cooked breakfast, and dinners for additional fee. Cox's on South Hill — what a view! A quiet, home away from home on Armidale's beautiful South Hill. Moderately priced, with spectacular views. Short drive to CBD. Ideal for single or family. Leanne & Colin Cox | 44 The Avenue, Armidale. Beautiful rural setting, close to Armidale town and UNE. Elderslie offers high-quality accomodation in the Armidale region situated on a stunning rural setting. Elderslie blends luxury, elegance and decorative grandeur of the 1880s with all the modern comforts expected in a luxurious Australian country home. A beautifully designed bed and breakfast homestead, it is one of the most tranquil and restful settings you could imagine, over looking a working sheep farm and rolling country hills. Surround yourself in the peace and tranquillity where you can enjoy the native wildlife at your doorstep. 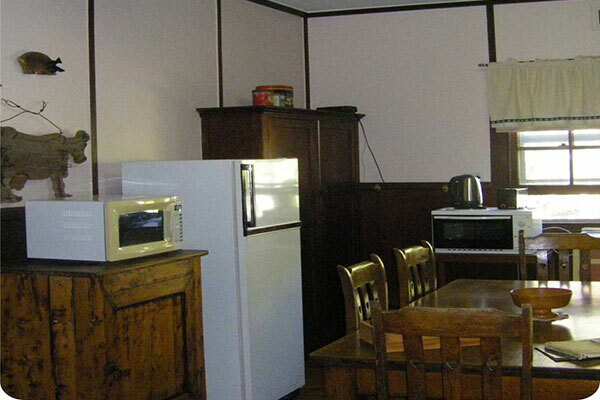 Full kitchen, dishwasher, wood heating and ensuite. Breakfast provisions for the first morning. 3km to University of New England. Glenhope alpaca farm is truly a memorable country experience with two private suites opening onto the rambling gardens with fabulous views of the countryside. Choose from the Garden Suite (studio with an extra bedroom) and private outdoor living or the luxurious Conservatory Suite with a king size bed (or two singles) with spacious living, dining and kitchen area. Self-cater or choose a fresh breakfast basket of locally sourced goodies. Beautifully warm on cold frosty night. Free Wi Fi. Private, safe and quiet in beautiful bushland overlooking Mt Duval. Two-bedroom full-serviced apartment, minimum 2-night stay, weekly or longer stays negotiable. 2-minute drive to UNE — 25 minute walk. Queen-size bed in one and 2 singles. Full kitchen, washing machine and dryer. Peaceful surroundings, luxurious accommodation and gourmet food — B&Bs don’t get better! Situated 15 minutes west of Armidale. Plenty of birdlife to enjoy. The Cottage with queen size bed, self-contained with bathroom and kitchenette, fridge, and tea making facilities. Charming historic award winning B&B set on 140 acre farm with a romantic and cosy atmosphere in an enchanting cottage garden. Wonderful breakfasts are served to you, and included in the tariff. Large self-contained elegant studio apartment. Quiet private tranquil setting close to the CBD. Separate entrance with own garden. A fabulous family farmstay retreat! Self-contained, spacious country house for up to 4 couples and 4 children. 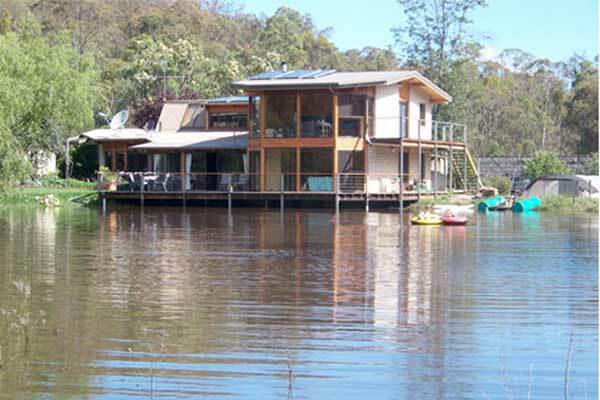 50km from Armidale, close to Wollomombi Falls and other national parks. Trout fishing and farm tours. Wattleton Farmstay — spectacular views! 'Wattleton' self contained cottage has 2 bedrooms + sleepout, and offers a unique experience for everyone, especially families. There's plenty to see and do. Perfect for couples requiring privacy and seclusion, active people wanting to bushwalk, birdwatch, ride horses, fish, play tennis or swim and spa. Children of all ages can enjoy contact with our many farm animals, horse ride under supervision in the yards, or just explore and enjoy open space and freedom. 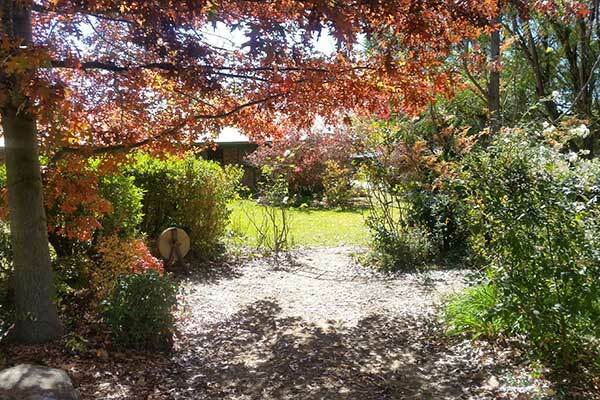 Located 35 minutes east of Armidale in rugged gorge country, Wattleton is on 600ha farm and unique farmyard friends. Play tennis, bush walk, limited horse riding, spa or swim (summer only). Lounge, fully equipped kitchen, private bathroom.